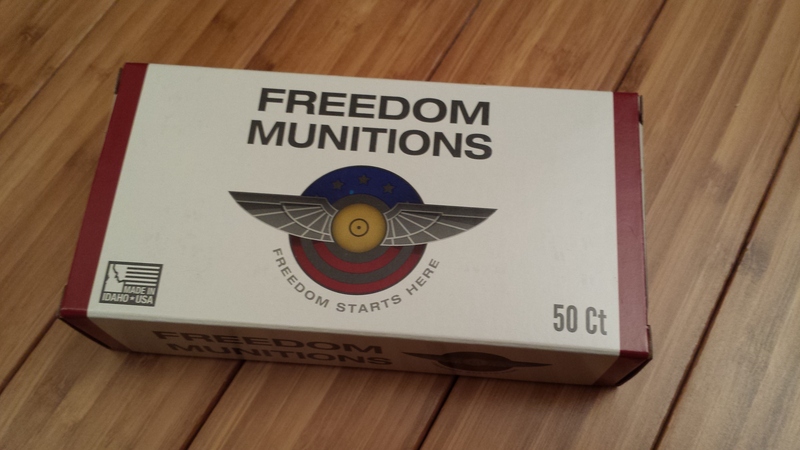 Freedom Munitions has good prices on ammunition. They run flat rate shipping specials and on major holidays they often offer free shipping. I don’t reload at this time so I’m always shopping for bargains. They offer a brass refund program that works like this: place an order, mail them brass, and they will credit up to the total cost of the order at the current rate they are paying for brass. Full details are here. 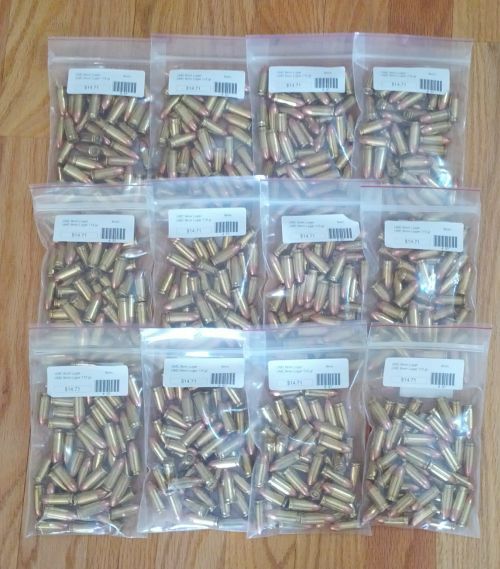 I placed an order for ammunition in February and had been collecting brass with every range trip so decided to give it a try. I saved $28.60 on my order. I mailed a USPS medium sized flat rate box of brass for $13.45. Based on the weight, the Post Office person said the cost to mail in a regular box would have been just over $80, so a Flat Rate box is the only way to make this cost effective. The net credit was $28.60. The brass was mailed 2/25/16. I might have been able to fit a bit more brass in the medium box, but it was essentially full. It was very heavy. 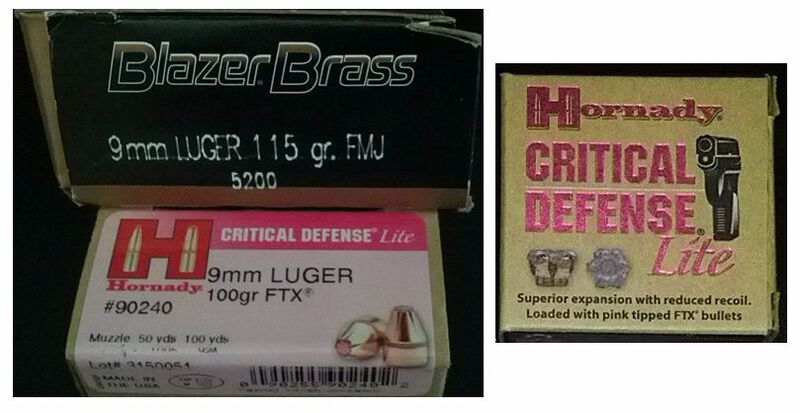 I’m not sure I could lift a large flat rate box if it was full of brass. It’s a hassle to pack the brass and haul it to the Post Office but for just over $25 I’d do it again. I picked up defensive rounds from 9 Forward at the Cup last week. I rode up to Oxford with a practice partner Saturday morning (June 27th) and one of my goals was to try the defensive rounds in the two guns I rely on for defense. 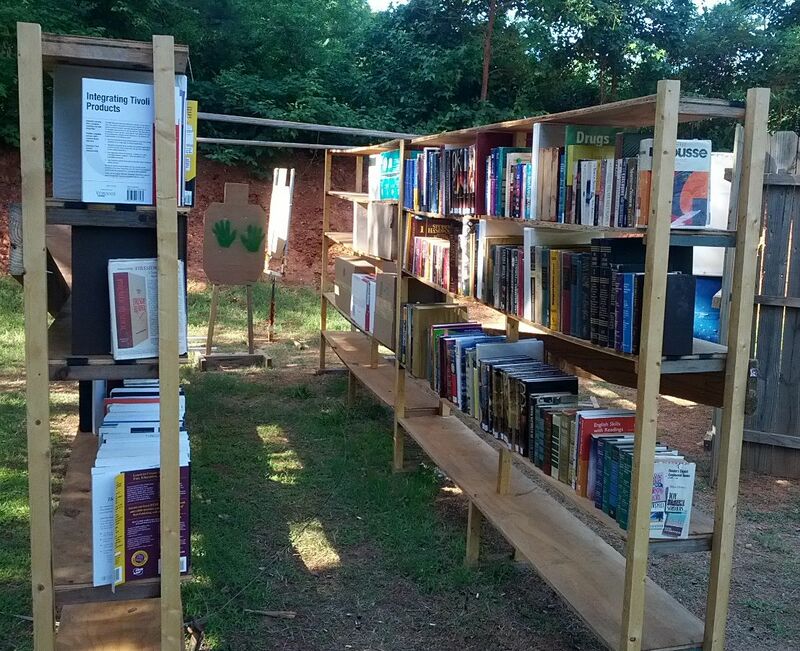 The “Library” was still in place, although a bit soggy, and I used one of the books to test penetration and expansion of the defensive rounds. Note the book on the top right shelf. It was wedged in tight and just the right height. It was also seriously thick, partly due to the rain soaked pages. I put 3 round in on the right side of the front cover. 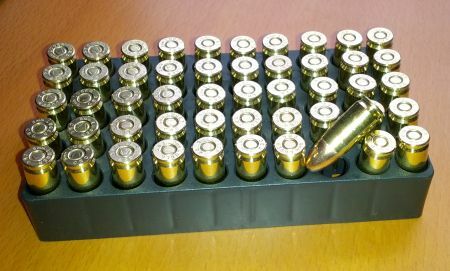 My practice partner suggested I also put in 3 rounds from my regular ammunition. I shot a row of 3 on the left side of the front cover. I took the book off the shelf and started turning pages to see the impact patterns and find the lead and casings. The defensive rounds penetrated 1110 pages. They torn much larger, irregular holes. The practice round penetrated 1600 pages. The holes remained round and uniform. If you are local and want a first hand look at the book, let me know and I’ll bring it to a match. 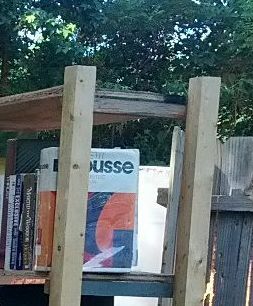 I’ll hold onto it for a few weeks, then it will go into the recycling bin. I really liked the lighter recoil of the defensive rounds but unfortunately they stove piped in both guns several times. That’s why you try ammunition in the gun you plan to use it with: to verify they work well together. I’ll go back and buy regular defensive rounds to test as the “Lite” version failed in my guns. Bummer but better to know now. Lead & Casings from the book! 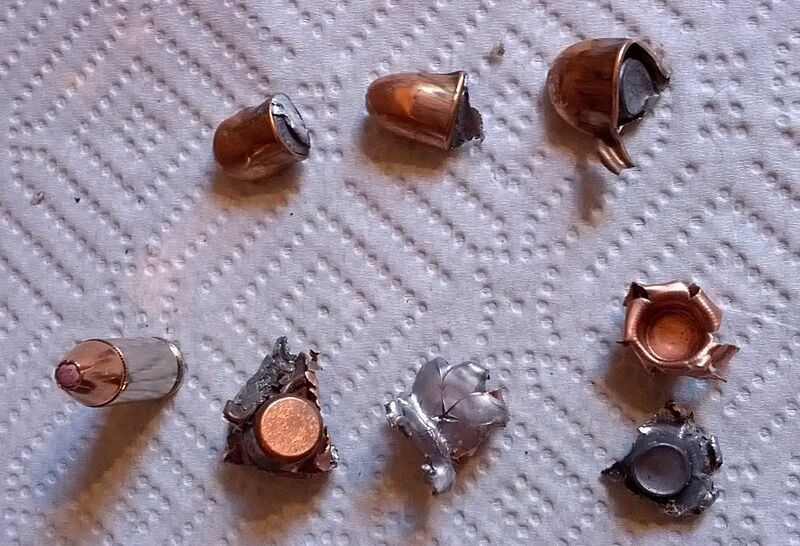 From left to right: Defensive round, defensive lead & casings, practice rounds (lead still in casing). Another view of the lead and casings, Practice rounds at the top, defensive rounds (one unused ) at the bottom. Vehicles on Stage 5. Photo taken last week. Targets this week are in a different configuration and we shot from the driver’s seat of the center vehicle. 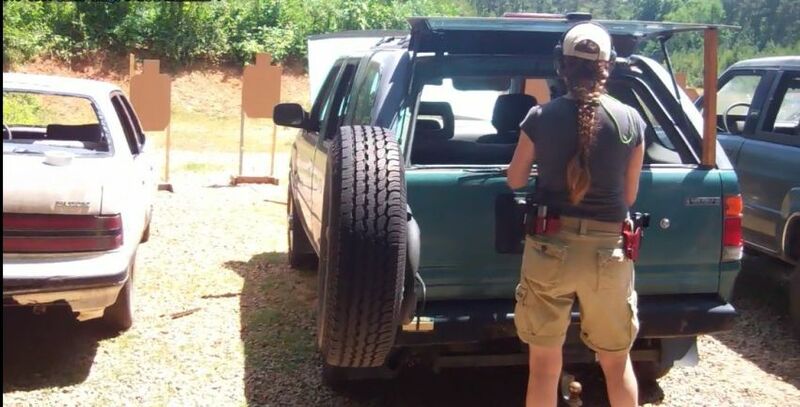 Sunday June 7th I shot another IDPA match up in Oxford. We had the opportunity to shoot from a vehicle and through the open windows of a car on the left and an SUV on the right. You just don’t get this kind of experience at a typical shooting range. Stage Scenario: 6 targets, 2 shots each, shot in tactical priority (near to far). Start with the gun on the passenger seat. For IDPA purposes, the two targets shot through the windows of the adjacent vehicles (one on each side) were considered equal distance. The next two targets in front of the vehicle (one seen from the driver’s window, one seen from the passenger window) were considered equal distance. With the last two targets there was clearly one that was much farther away and had to be shot last. Shooting the stage required quite a bit of movement back and forth, from driver side window to passenger side window. You have to think about moving up and over the steering wheel and taking your finger off the trigger with each transition. I found myself extending my arms through the windows for the first 2 targets but hanging an arm over the door for the 3rd and 5th targets. The stage also required a reload and I ran into issues. I popped out a bit of profanity during the process of correcting the issue. All captured on video. Sigh. So what happened? I was testing out some reloads (147 gr) with a lower power factor (ie: lower recoil) and they were just too low power. 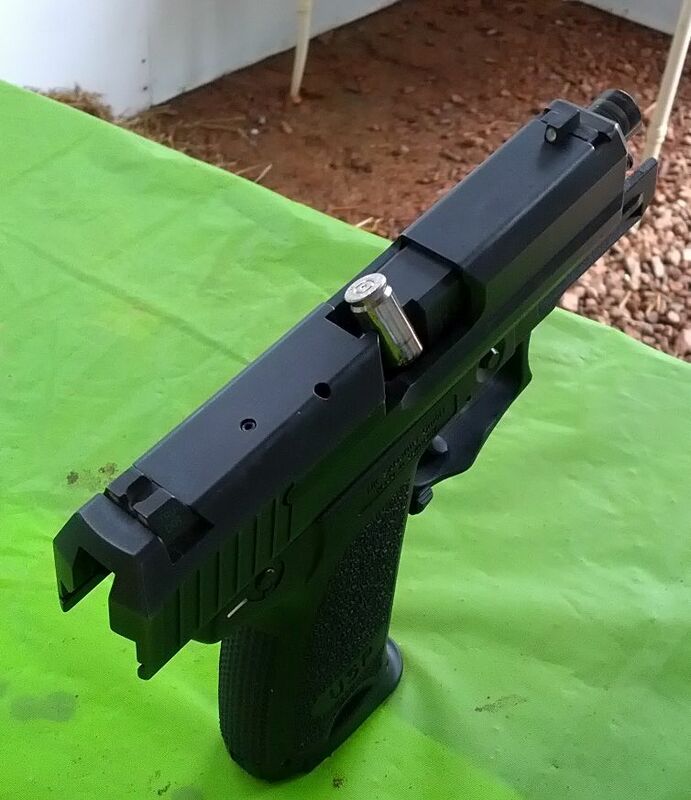 With 50% of my reloads, the slide would lock back but the brass would not be ejected, so the reload resulted in a jam each time. This was the first one. The bad news: I let fly with my frustration. The good news: I never gave up. And I know I shouldn’t shoot these rounds in this gun. I shoot slow. When I watch the video, it appears painfully slow to me. The final target was quite some distance so I put a third shot in it. Final accuracy count for the stage: down 2. If you are not familiar with match scoring that means I hit the zero zone on all but two shots. For each of those I hit outside the zero zone in the 1 point penalty area. I was accurate, but I was very slow and placed dead last for the match. So once again, this isn’t about what a great shooter I am, but what a great learning experience shooting matches can provide. My round in the bullet puller. 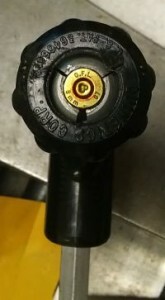 Note the multiple firing pin strikes. The brass, bullet and powder that came out of the bullet puller. The gun powder looked like glitter. NOTE: This is the first guest post to my blog. The following was written by my shooting partner David Young. His enthusiasm is endless and he helps to nudge me when I lost momentum, so when he asked if he could post to my blog, of course I said yes! and a wisp of smoke rises from the chamber. The slide did not cycle (obviously), but I dropped the magazine, cycled the slide manually, ejected the spent case and began my inspection. I field-stripped my gun and ran a bore snake down the barrel. Sure enough, the bullet was lodged about 1/3 of the way down. I was shooting at Personal Defense and Handgun Safety (PDHSC) in Raleigh. Without batting an eye the staff took the barrel into their work room and removed the bullet. Removal took about 15 minutes and I watched as the gentleman (I wish I remember his name) used a brass rod and hammer. No charge and no barrel damage. Having a squib (safely) is one of the best learning experiences I’ve had since I began shooting. I’ve listened to the description countless times, but actually experiencing a squib is invaluable. I have no idea what the outcome would have been had I been under duress; say, during an IDPA match or intense training. During rapid firing I might very well have put another round through the barrel and destroyed my gun. I can only hope that the experience has imprinted itself and I’ll have the presence of mind next time to cease firing as I did today. I’ve read on forums that the vast majority of squibs occur in handloads. Not this one, which means factory ammunition is not immune. It might be rare but it can happen. By the way, I shot the remainder of the Independence with no issues. Finally, I want to offer kudos to the staff at PDHSC. Of all the local gun stores I’ve been to in the Raleigh area, the folks PDHSC are hands-down the best. Their level of service, expertise and advice is without equal, in my opinion. Last year when I started competing and practicing on a regular basis, I decided to stock up on ammunition so that would never be a barrier to shooting. I came close to crying a few times as I parted with cash or paid my credit cards, but over a few months, I hit my goal. With what has happened since I’m really happy I did that. Now, as I use up what I bought I am trying to replenish as I get close to the minimum level I’d like to keep on hand. But being rather frugal, I’m also patient. Before the election and Sandy Hook, a reasonable deal on 9mm Luger was around 25 cents a round. That is $250 per 1,000 rounds (without taxes). And I’d much rather buy in 1,000 round batches than have to run to the store for 3-5 boxes over and over until I feel stocked up again. My last 1,000 round purchase was from PDHSC in January for $238. They laugh at me now when I ask if they have more bulk ammo in stock. I have a friend that has recently paid around $600 for a 1,000 rounds and I’m just not willing to pay that. At that price I may have to reconsider the frequency I shoot live rounds and force myself to spend much more time on dry fire practice. What I’ve found though is that with patience and persistence, ammo is out there and not everyone is price gouging. UMC 9mm Luger 50 round packs from 9Forward in Oxford, NC. Price: $14.71. Five “box” limit. I was in a Walmart near my mom’s house in SC a few weekends ago and decided to stop by sporting goods. I’ve been in this store before and I’ve spoken to the very knowledgeable woman who works there several times in the past. She asked what I was looking for and I told her .38 Special (for mom) or 9mm (for me). Amazingly she said she’d found some 9mm in the back and had two boxes left. I asked the price: $19.99 — for 100 round bulk boxes. This was the pre-election price! No price gouging here. I was happy to give her my money. In Oxford last week I found 9mm in 50 round packs for $14.71. They have a 5 box limit per customer. Turns out they also had some Winchester 100 round bulk packs for $26.94. The first is 29 cents a round, the second 27 cents a round. In this current ammo starved environment, both are very reasonable deals. I’m not sure what the future holds but with some networking, tips from friends, and supporting businesses that are not price gouging, I’m hoping that I can continue to shoot without resorting to paying top dollar. 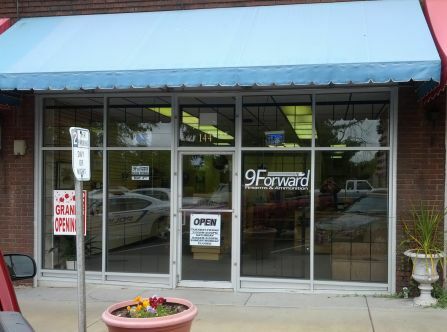 I received a heads up through the Ladies Handgun League mailing list that a new gun store, 9Forward Firearms & Ammunition, was opening in Oxford, NC this past Saturday, May 4th 2013. Here’s the website with key details: www.9Forward.com. From the website: 9 Forward sells firearms, ammunition and firearms accessories. They are 10 minutes from The Range in Oxford, which hosts IDPA matches as well as other shooting events. They are closed on Sunday and Monday. So the doors will not be open again till Tuesday. The key phrase in the email announcement that got my attention was “healthy ammo inventory”. I called Rachel, one of the owners, on Friday to check prices and limits on ammunition. The prices were very good and the limit was 5 boxes. I shared the information with my shooting partner and planned an early morning road trip to Oxford on Saturday morning. A friend and I arrived at 8:45am and were on hand for the opening at 9am. My shooting partner was already there, drinking coffee and chatting with Rachel out on the sidewalk. Eager customers waiting as Rachel turns the sign to “Open” for the very first time. My sister lives walking distance from the store and agreed to meet us over there to do a bit of ammo shopping with me. We all picked up 9mm rounds and I was very pleased with the prices. The store wasn’t crowded, but there was a steady stream of customers, most looking for ammo. Rachel hugged the first customer after he paid – the store opening was the culmination of a business plan that started prior to the last election and was in doubt at a few points along the way. Flipping the sign on the front door to “Open” and ringing up that first sale was was clearly exciting, memorable, and significant to her. The enthusiasm she shared was contagious. I wanted to talk with her more but we had what we came for and she had other customers waiting. I headed over to my sister’s house for a cup of coffee by 9:30 and did some catching up. I was ready to head back to Raleigh by 11:30 and since it was on the way, a stopped back in the store. I wanted to see if they were sold out of ammo yet. I ran into Frank from The Range as I walked back in the door and gave him a hug. My gun friends are starting to feel like family. I noticed they had plenty of staff on hand and were clearly service oriented. Rachel laughed when I asked her if they were out of ammo and said they were not. I took the time to chat with her since she was taking a break from the register. When I asked why they are closed on Sunday, Rachel said that was their day to go shooting. Fair enough.When I asked why they chose Oxford, she said the space used to be a gun store. The previous owner closed up shop and they found Granville county to be very gun friendly. When I asked how they were able to stock ammunition when others stores couldn’t seem to get it in stock, she said they had been working on opening the store for quite some time and lining that up was something that had been in the works well before they opened. She and her husband have an interest in defensive shooting and I’ll be back to talk with her about that. I noticed they carry Flashbang holsters for women and spoke to her about carry holsters, then the biometric safes they had in stock. I found her to be knowledgeable without being pushy or overly opinionated. She’s willing to share what she knows and let the customer decide what’s best for their situation. I noticed that they still had space for additional inventory and I expect they will start to fill the shelves with much more inventory over time. It was fun to be part of such a significant event and I’ll be back. I’m particularly interested in checking back for ammo. Since I don’t reload at this point, finding reasonably priced ammo in stock is a huge challenge. This may be part of my solution.